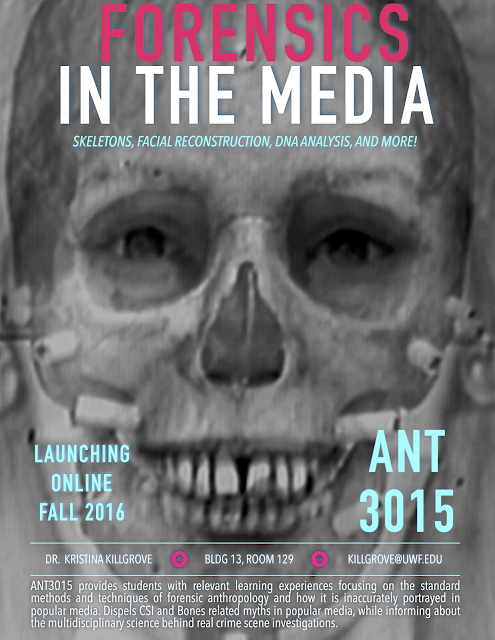 This is a quick plug for my Fall online course that will be about skeletons and forensics in the media. It's ANT3015 at UWF -- currently called Forensics in the Media. The way the Florida university system works, pretty much anyone enrolled at a university in the state can take it through the Florida Shines program. So I'm encouraging anyone who's interested to please sign up! 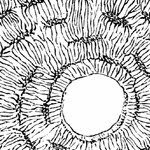 We'll take a tour through the TV shows Bones and the Forensic Files, through the news media such as my Forbes and mental_floss posts, through podcasts like Sawbones, and more! I envision this as a fun way to learn more about forensic anthropology while consuming a wide range of media.